AFM for Ford PC PD COURIER 2.6L 10/91-2/99 6 pin Mass air flow meter MAF. 1 x Aftermarket/Unbranded Air Mass/Flow Meter (AMM AFM) Complete assembly. Direct replacement for original part, no modifications needed. PC and PD Ford Courier 2.6L. 10/91-2/99, G6 engine, has 6 pins but is interchangeable with 5 pin sensor. WHILE WE TAKE LOTS OF TIME TO ENSURE ANY FITMENT INFORMATION GIVEN IS ACCURATE AS IT CAN BE, WE DO ASK THAT YOU CAREFULLY CHECK THE PHOTOS AGAINST THE ORIGINAL TO AVOID DISAPOINTMENT. Fitment lists are for Australian delivered/dom. Cles and may not apply to imports. Type this code in the search box for a matching plug. Note some of these models have a 3 pin sensor that is also available (E5T52071). Replaces E005T50371, E5T50371, G601, G601-13-215A. We dispatch all orders via Australia Post eParcel or Fastway Courier. We offer Australia Post Express Post on most items, which is overnight to most major centres, and 2-3 days quicker than regular post in other areas. All but a very few items are sent with tracking (and this is noted in the item description). Orders must be made before 12 noon (Brisbane time) to ensure same-day dispatch. If you require full cover. You will be taken to a webpage that confirms your order with the option to "Continue Checkout ". Do not checkout to pay for this item (yet). You can add more items to your order following the same steps as above. GST is included in all our prices. But we will contact you ASAP to let you know if there are any problems. Packaging is not part of the'sale' and may vary to that shown, may not be included in the package when sent and if damaged isn't considered to be damaged goods. That you would like to collect it. Pick-up details will then be sent to you. Direct from us to you. DDI Auto is your one-stop shop for automotive parts and accessories for road, race and rally that will help you build your dream car. Sign-up now to receive special offers and deals. The item "AFM for Ford PC PD COURIER 2.6L 10/91-2/99 6 pin Mass air flow meter MAF" is in sale since Saturday, June 9, 2018. 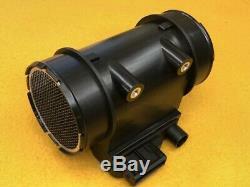 This item is in the category "Vehicle Parts & Accessories\Car & Truck Parts\Air Intake, Fuel Delivery\Sensors". The seller is "ddi_auto" and is located in Riverview (Brisbane).